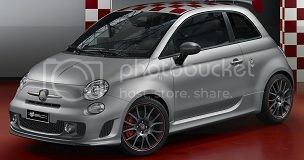 Besides the Abart Punto SuperSport the Italian brand, owned by Fiat, will also bring four new sportier versions of the Fiat 500. 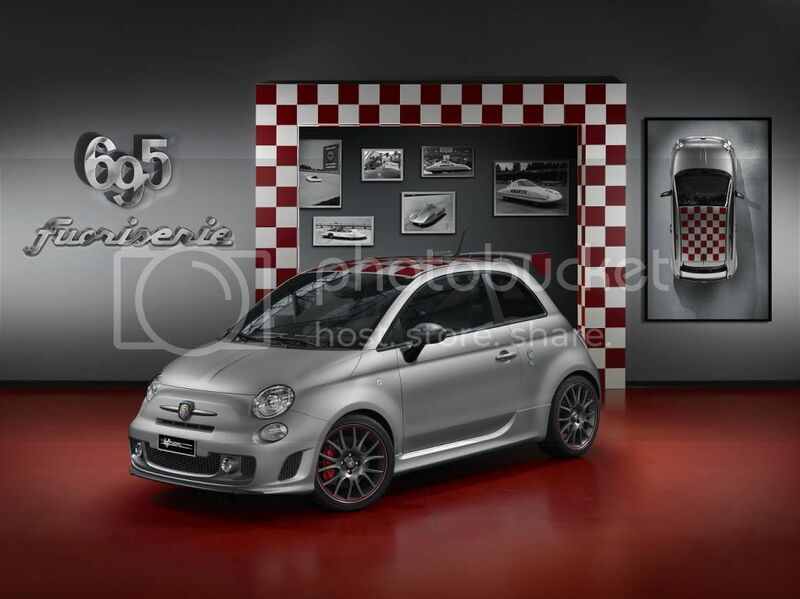 The cars based on the 500 are named Abarth 695 'Record', Abarth 695 'Scorpione', Abarth 695 'Hype' and Abarth 695 'Black Diamond'. It's an overload of Abarth 695's. It's better to just do a sort of list with the main aspects of each car by just partly quoting Abarth/Fiat. The Abarth 695 'Record' features Matte Competizione Grey bodywork, complemented by a roof featuring the distinctive Abarth checkerboard, Matte black 695 design rims and red Brembo® brake calipers. 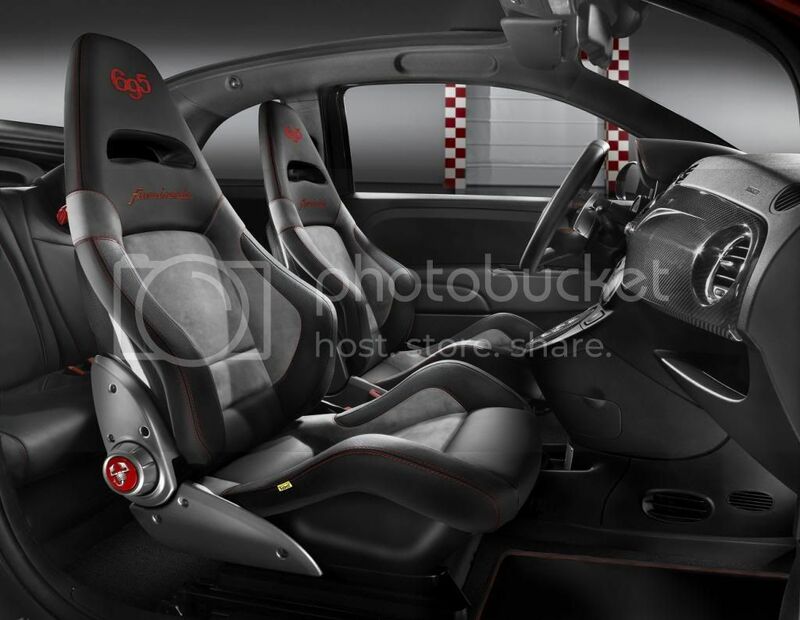 Inside we have 'Abarth Corsa by Sabelt®' in black leather with Alcantara® inserts and top stitching, both red with glossy carbon shell and cushion base. 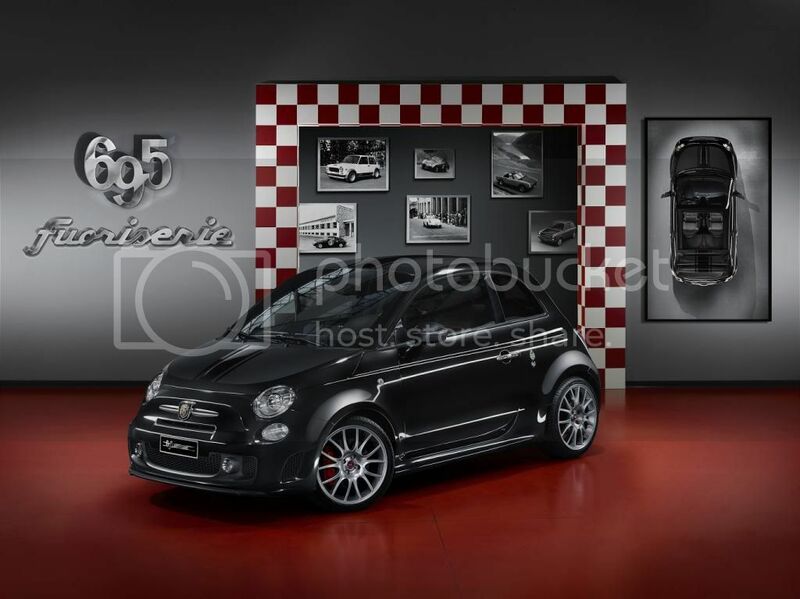 The Abarth 695 'Scorpione' boasts a glossy black livery with matte bonnet traversed by a band produced using a polishing treatment with the door mirrors and the pillar trim in glossy carbon., and Magnesium-coloured 695 design rims wrapped arount the red Brembo® brake calipers. Black leather Sabelt® seats with the central part in grey perforated Alcantara® are embroidered with the 695 and 'fuoriserie' logos in red. Matte carbon elements are also evident on the dashboard, seat squab, sill and gear panel, while aluminium pedals and kick plate. 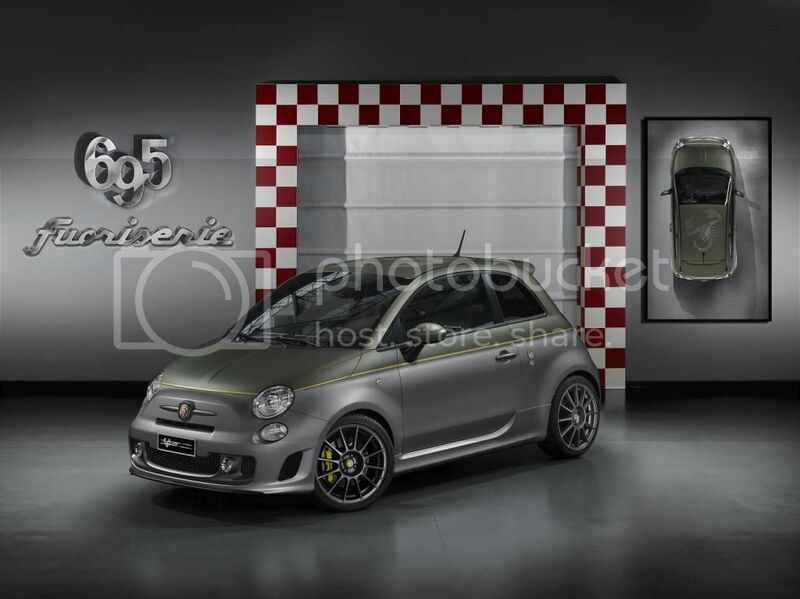 In the Abarth 695 'Hype' we have a two-tone livery with the lower part in Matte Record Grey and the upper part in Matte Green separated by a yellow line. The 'esseesse' design rims are in matte titanium painted with a special finish reminiscent of the metal and there's an Abarth scorpion 'tattoo' on the roof achieved by a 'ton sur ton' manual polishing technique. 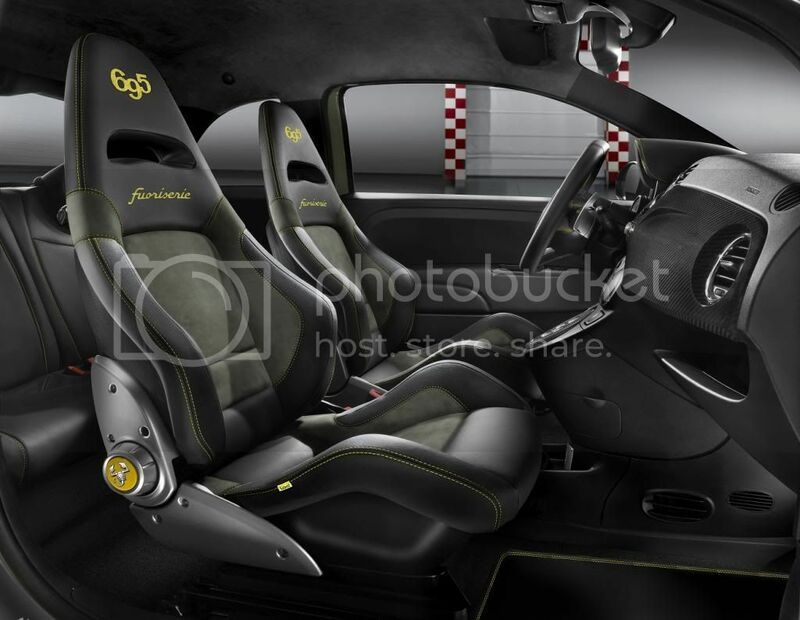 Inside we get 'Abarth Corsa by Sabelt®' in black leather with Alcantara® military green inserts embroidered with the '695' and 'fuoriserie' logos in yellow with glossy carbon shell and cushion base. 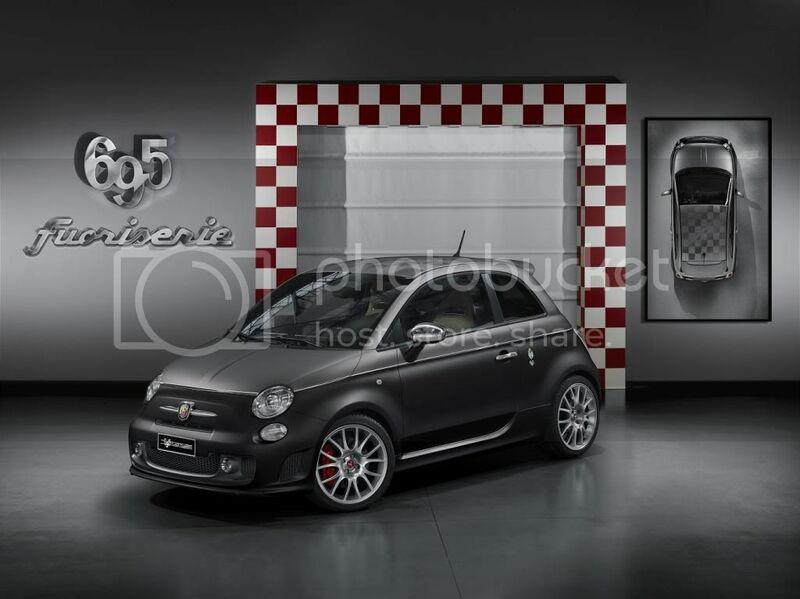 And the last one, the Abarth 695 'Black Diamond', has a two-tone livery in Record Grey and Scorpione Black, both matte, a chrome liner and magnesium-coloured 695 design rims. Like the other cars it also has Red Brembo® brake calipers and hubcaps. 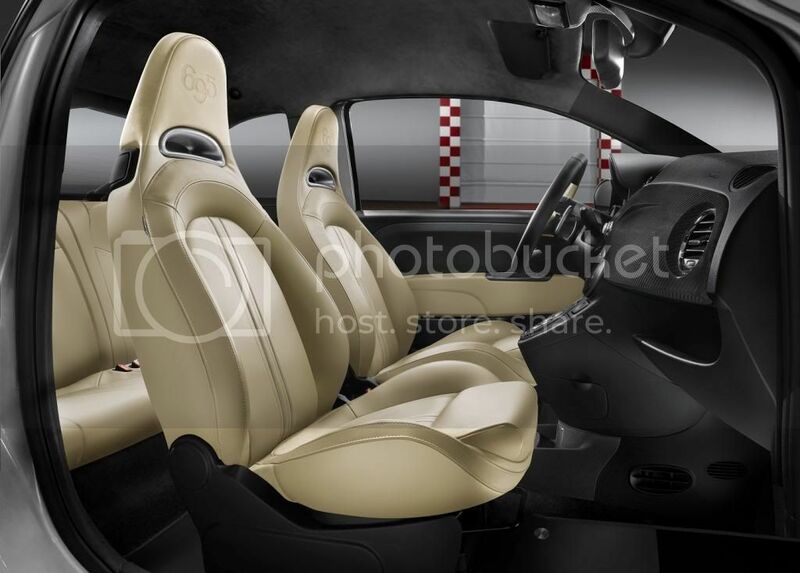 The interior include seats upholstered entirely in sand beige leather, with containment strips featuring single-layer padding. The dashboard and gear plate are distinguished by a special matte-finish carbon trim, as are the pedals, sill and kick plates. In the end you can have those cars with only one engine, the 1.4 liter Turbo T-Jet 16v engine with 180hp mated to the electrically-operated manual Abarth Competizione gearbox with steering wheel controls. The Brembo brakes have 305mm brake discs that can be dismantled with fixed four-piston caliper and special Köni® shock absorbers with FSD technology. 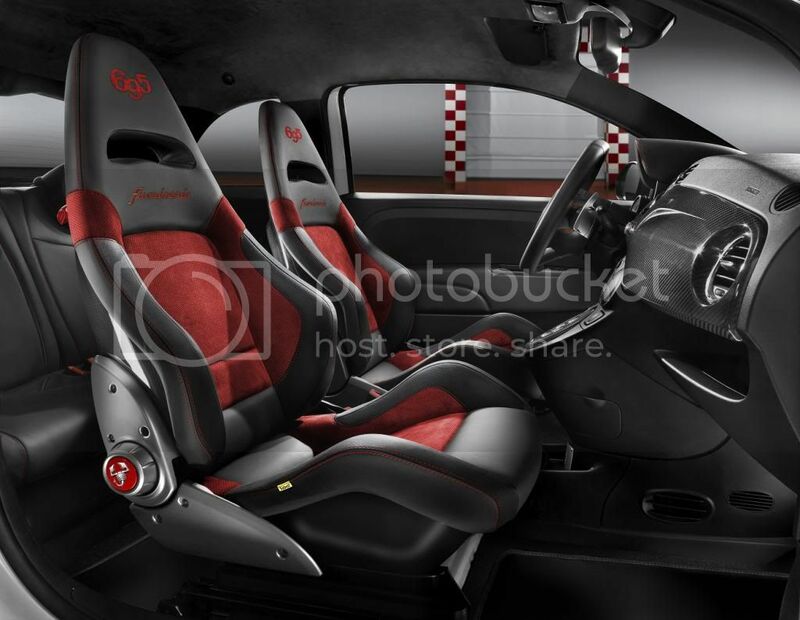 Inside Abarth fitted all models with a JBL® sound system (created by Harman® specially for Abarth) with nine speakers and an eight channel amplifier for 400 watts of overall power.